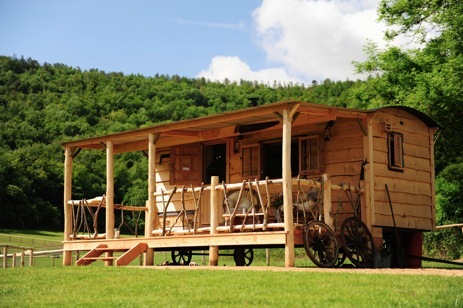 Stay with us here, glamping at Loose Reins in Dorset in our iconic cedar clad cabins or canvas pioneer lodges, for short breaks or longer glamping escapes. Our unique hand-crafted cabins give you all the authenticity of life on the prairie with all the modern comforts of the home range. There wasn’t a whole bunch of luxury on the plains back in the day, but we make up for it here! Sitting in the foothills of the Wessex Ridgeway in the heart of an Area of Outstanding Natural Beauty in rural Dorset, we’re surrounded by the best views you can imagine. At Loose Reins we also offer forest trail rides, Western riding and horsemanship lessons on highly trained American Quarter horses. Whether you ride or keep both feet on the ground, Loose Reins offers true wind-down time with a sense of freedom and adventure. When the trail is stretching out in front of you, the sky is blue above you and the daily grind is well and truly to the rear, that’s one amazing feeling. Loose Reins is all about finding and enjoying that feeling, about discovering some wind-down time and enjoying the simple things in life. Imagine summer evenings spent around the fire toasting marshmallows, drinking hot chocolate, telling stories, singing songs, playing games. Leave the email for a while, find that pioneer spirit that’s in there somewhere and make your own adventure, in your own time. 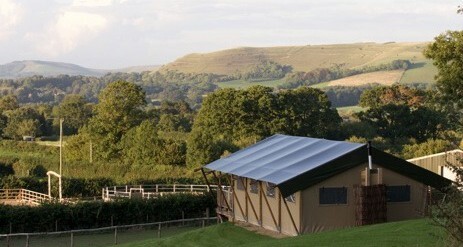 The canvas lodge sits in a private plot on the edge of the forest and has stunning views over the Blackmore Vale. Outside, there is a generous front porch plus cooking area with fire bowl and benches. 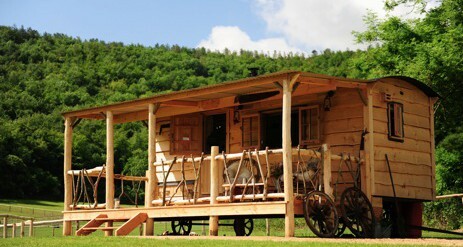 Our three unique and beautiful cedar-clad cabins and pioneer-inspired canvas lodges are available for weekend, midweek or week-long breaks. 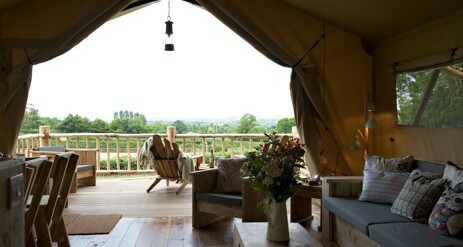 Filled with home comforts, they nestle under Blandford Forest in an Area of Outstanding Natural Beauty with stunning views over the across the Blackmore Vale towards the ancient forts of Hambledon and Hod Hills. 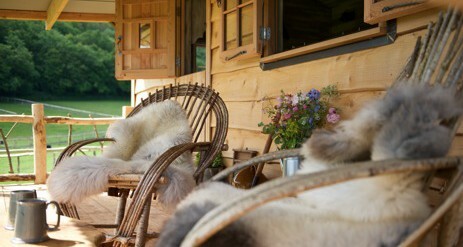 All in all, it’s the most relaxing stay possible, you can discover your trail and connect with the wild in luxury and style. Loose Reins accommodation is self-catering and each cabin and lodge has everything you need to DIY like a true pioneer, from the tin opener to the teaspoon. Guests are free to use the gas stoves and ovens, wood burning stoves, fire bowls and campfires to create meals throughout their stay. There’s no need to get the car out, THE GENERAL STORE onsite offers basics such as fresh milk, eggs, bread, cakes, rice, pastas, beans etc. There’s also locally made jams, chutneys and honey and, of course, the campfire essential; marshmallows. DON’T FEEL LIKE COOKING? We’ve developed a range of meals filled with pioneer authenticity, but using the type of high quality ingredients seldom found out on the trail! Dine in style from our range of tasty and wholesome one-pot meals, you can track them down at our General Store. Choose what you’d like from our frozen range and pop it out to defrost during the day so you can return to instant and heavenly food without so much as laying a trap. In the morning, pop down to the General Store for local sausages, bacon, free-range eggs and all the trimmings… or, if you’re out and about, why not rustle up a picnic? 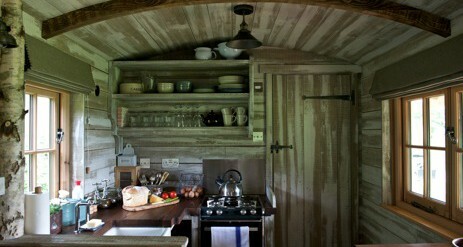 We strive to ensure all the food at Loose Reins is as local, natural and tasty as possible. If you’d rather EAT OUT, there are a number of good pubs and restaurants in the area. Let us know if you’d like to book and we’ll happily make recommendations and reservations for you, heck, we’ll even book you a taxi. Loose Reins sits within easy reach of some of the finest walks, cycle routes and bridleways in the UK. 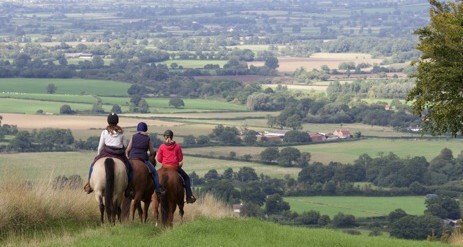 You may choose to fill your stay here with Western riding lessons and trail riding or grab a map and hike or cycle through the forest, along the Wessex Ridgeway or down the North Dorset Trail Way, you can even order a Loose Reins picnic to take with you! If you prefer to put your feet up, you could just relax on the front porch, watch the horses graze, listen to bird song or watch the buzzards circling lazily over the trees. Time goes slow in Loose Reins country, and when the day melts into the evening you can grab a drink and sit by the fire, or stargaze for a while. Take life at your own pace. We have some of the most beautiful Western riding trails around. Loose Reins sits in the foothills of the Wessex Ridgeway in the heart of beautiful Dorset and we’re surrounded by ‘big country’ views. Escape, relax and explore your pioneer spirit with Loose Reins trail riding on our highly trained American Quarter horses. Loose Reins is all about finding and enjoying the feeling of freedom, discovering some wind-down time and connecting with yourself again, that’s why we keep the pace of our trail rides relaxed. Take in your surroundings, connect with your horse and feel that sense of escape, liberty and adventure. Learning Western Riding at Loose Reins is an incredible experience. Improve your horsemanship techniques, your overall relationship with your horse and your fitness level! Bring your own horse or choose one of the fully trained Loose Reins American Quarter horses to suit your riding ability, from beginner to returning rider. We’ve also put together a couple of Loose Reins experiences, from the perfect introduction to Western riding and horsemanship to the ultimate trail riding adventure. If you don’t see exactly what you’d like, please let us know and we’ll see what we can do!